Tickborne diseases continue to be a problem in the United States. And the problem may have just gotten worse. According to a weekly report by the Centers for Disease Control and Prevention, a new tick species has made its way to America. The species has health professionals concerned about potential diseases it might carry too (1). The new species is the Asian long-horned tick, known for spreading dangerous diseases to animals and humans in other countries. It has also been reported to reduce dairy production in cattle by 25%, the report states. So far, the CDC points out that “no cases of illness in humans or other species were reported.” Health officials are working hard to ensure it stays that way. The tick was first found in the States on a sheep in New Jersey last year. Since then, the species has been found in 8 other states on animals and even on 2 humans. Government officials on all levels have coordinated more surveillance of this species. Their efforts have uncovered 53 reports, mostly in eastern states. The long-horned tick has the potential to host several dangerous diseases found in the US. While no dangerous cases have been reported, people should stay aware of ticks in their area and treat bites immediately. 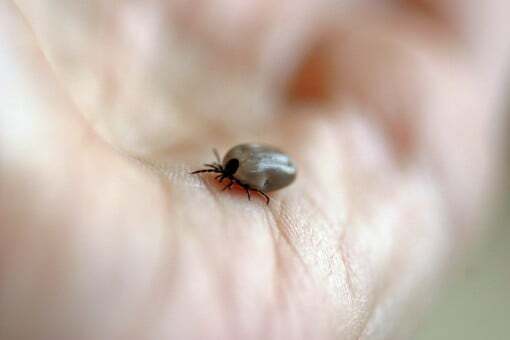 The CDC recommends getting rid of ticks still on the skin by using tweezers and steady, even pressure (2). Then, you should clean the area with rubbing alcohol or hot, soapy water. Be sure to visit a doctor right away if you develop a rash or fever, even after a few weeks. Currently, the CDC is calling for broad treatments like insecticide or acaricide sensitivity testing. Also, many agencies across the US are distributing information about long-horned ticks, setting up hotlines and, in some cases, identifying ticks reported by the public. In the current climate of tickborne diseases, monitoring this new species is going to be essential for preventing any widespread illnesses. The CDC reported in May that diseases caused by mosquitoes, ticks and fleas have tripled between 2004 and 2016. Diseases spread by these bugs include Zika, West Nile and Lyme disease (3). Let’s hope this new species won’t add to that growing and dangerous list.